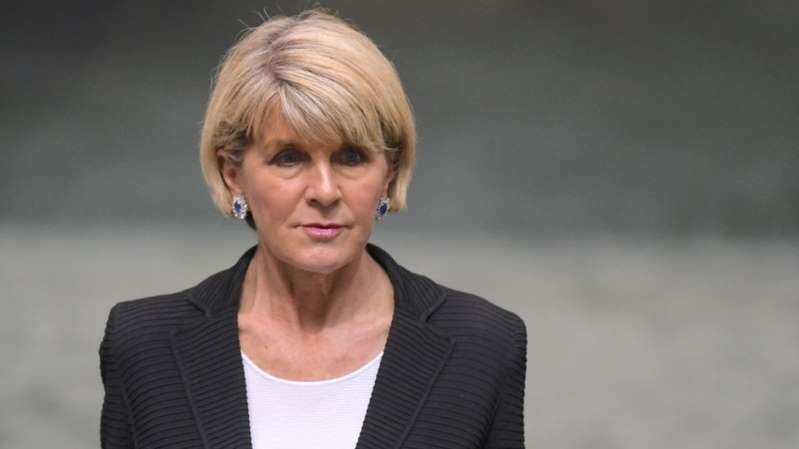 Australia's Foreign Minister Julie Bishop is planning to resign, according to media reports. The reports come as new Prime Minister Scott Morrison prepares to announce his new cabinet after winning a bruising leadership contest on Friday. Ms Bishop is also expected to announce that she will not stand at the next general election, due in 2019. She had sought the prime minister's job after Malcolm Turnbull stood aside, but was eliminated in the first round. The leadership fight also ended her 11-year tenure as deputy leader of the Liberal Party. The 62-year-old from Western Australia has been a federal politician for two decades. Last week's leadership crisis arose after Mr Turnbull came under pressure from poor polling and what he described as an "insurgency" by conservative MPs. How did Turnbull lose power? Peter Dutton, a conservative and former home affairs minister, had unsuccessfully challenged Mr Turnbull on Tuesday, but his narrow defeat only stoked further discord. Mr Morrison, the treasurer, entered the race later in the week after Mr Turnbull lost key backers. He won the second round of Friday's internal Liberal Party ballot by 45-40 over Mr Dutton - who had been Mr Turnbull's most vocal threat. Ms Bishop had been eliminated in a first round of voting. Mr Turnbull has signalled he will resign from parliament, which would force a by-election and potentially put the government's one-seat majority at risk and force the new premier to call early elections. A former Tourism Australia official, Scott Morrison entered parliament in 2007 and has since held three key ministerial portfolios. As immigration minsiter, he drew criticism over the controversial asylum seeker policies and offshore detention centres. Speaking to reporters after the vote on Friday, Mr Morrison said he would be working to "bring our party back together which has been bruised and battered this week" and bring the country together. He also said dealing with a severe drought, which has hit parts of eastern Australia, would be "our most urgent and pressing need right now". Why is Australian politics so turbulent? The past decade has been marked by a series of leadership coups, with three other sitting prime ministers deposed by party rivals. Not a single leader in recent times has succeeded in serving a full term as prime minister, partly because elections come around so often - every three years - two years less than in the UK. Dave Sharma, a former Australian diplomat, says "an election is always just around the corner, meaning members of parliament are forever focused on their electoral survival - and less so on the national interest". Writing in the Sydney Morning Herald, Mr Sharma says "the steady drip of opinion polls and the relentless media cycle exacerbates the short-termism".